Stinky the Farm cat is the elder statescat of the Farm. I don’t really know for sure how old she is; as with most of my cats she found me and laid claim. All the vet could tell me at the time she arrived in my life was that she was at least a year old. She has owned me now for 13 years. Given her years I especially like to make sure that Stinky has the best pet food I can give her. 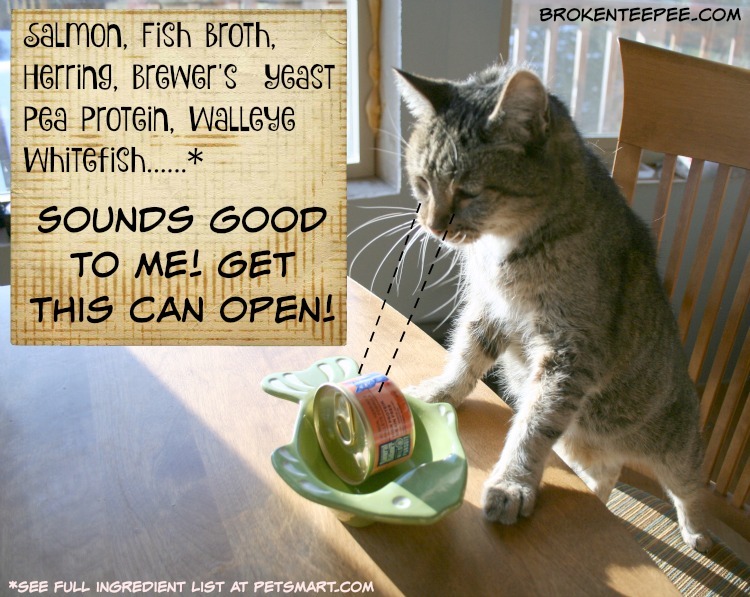 That would be a high protein cat food from Natural Balance. 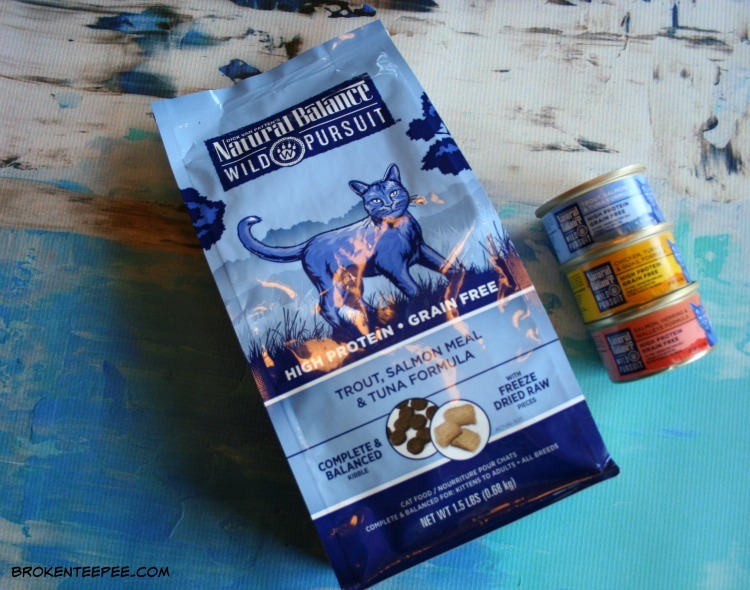 Natural Balance® Wild Pursuit™ provides Stinky with a grain free food that is made with three premium protein sources. It meets her nutritional needs and resembles her ancestral diet. Did you know about Natural Balance’s Buy With Confidence guarantee? It’s pretty cool – each production run is tested and you can check your batch for quality and safety. I also love that the food is made in the USA. She thinks I’m taking too long to feed her. She wants me to get the lid off of that can and do it NOW! Isn’t that the way of it? I’m sure that any of you that have cats – or dogs for that matter – know that they want their food and they want it NOW! I just thought Stinky might want to see what she was getting before she chowed down. Apparently I was wrong. She didn’t appreciate the fact that Natural Balance® Wild Pursuit™ is formulated by expert nutritionists. That’s OK – I care and that’s why it’s in my pet pantry. 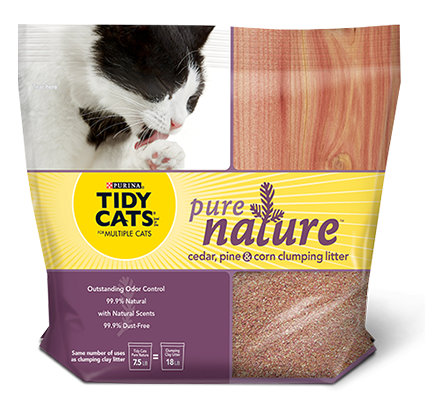 I also have the Wild Pursuit™ kibble but that is for the other Farm cats. Stinky has lost her teeth so she only eats wet food these days. 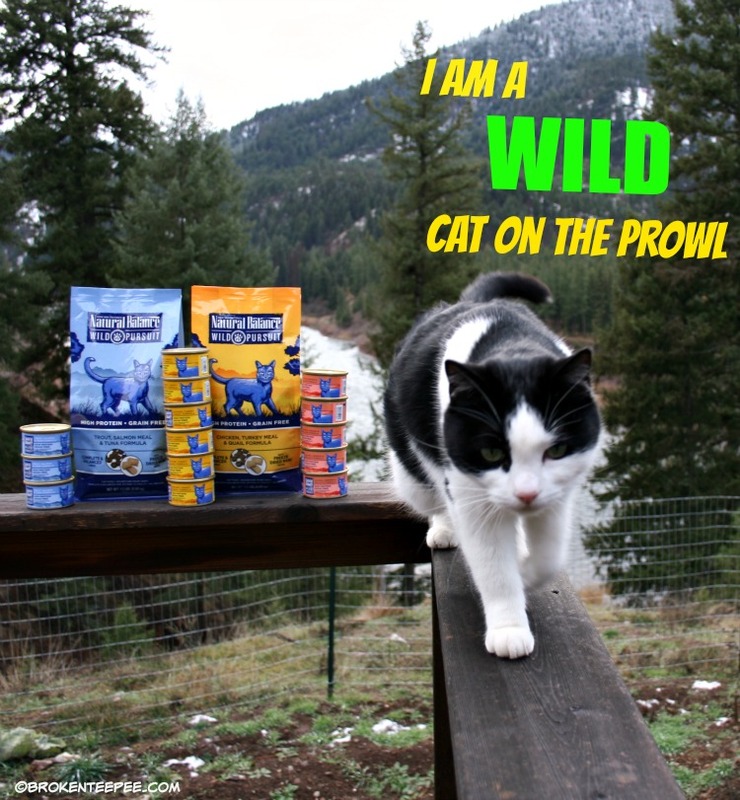 The cats like the Wild Pursuit™ kibble because it is a combination of freeze dried raw pieces and chow for a unique taste treat. 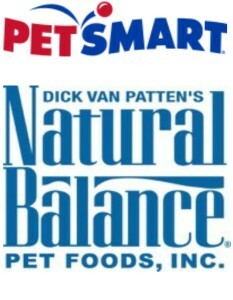 Natural Balance® Wild Pursuit™ natural pet food is available at PetSmart® stores near you and at petsmart.com. It couldn’t be any more convenient if you ask me. I love when shopping for the Farm cats is easy. 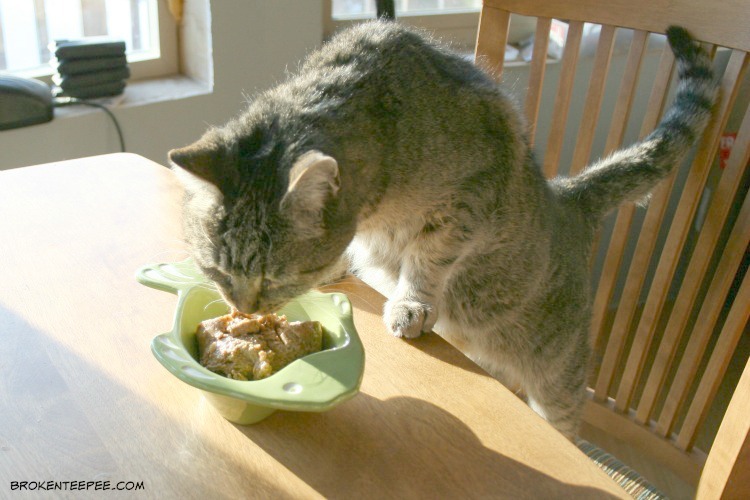 You don’t want to know how much natural pet food they eat in a month. They are worth it. They make me smile – even more than they make me crazy. That’s why I want to be sure they live long and healthy lives. 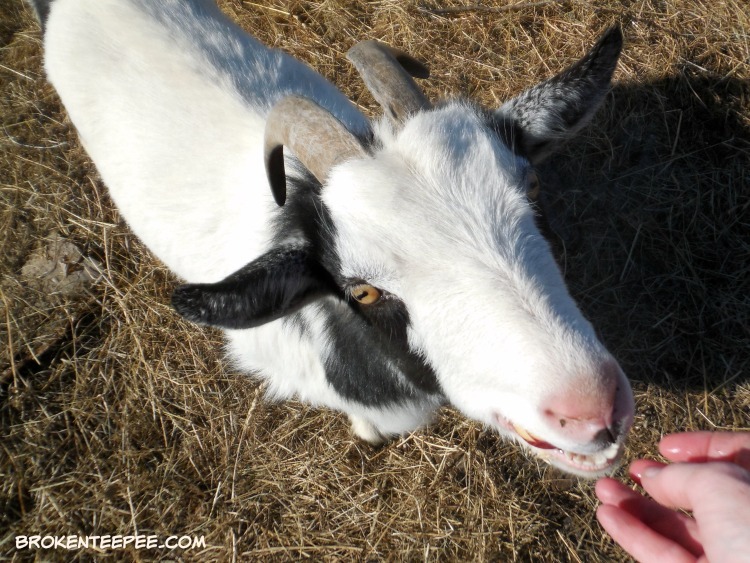 One of the ways I can I can help them do that is to feed them the best pet food I can. I am sure that I am not alone in this sentiment. We all love our pets and want the best for them. 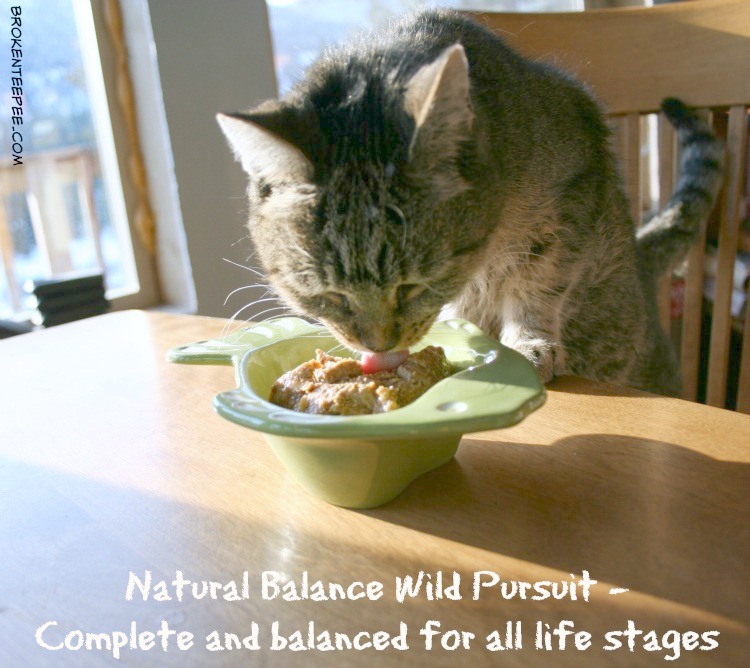 It’s great that Natural Balance® Wild Pursuit™ is complete and balanced for all life stages. There are four Farm cats and Stinky is the eldest. Harry is the baby of the family at 6 years old and he loves it too. He meowed to you about how much he likes Wild Pursuit at the end of last year. (He is still lobbying for gopher flavor but that is a story for another day.) It is certainly easier to be able to feed one food to all four cats than to need a variety of foods dependent upon their stage in life. 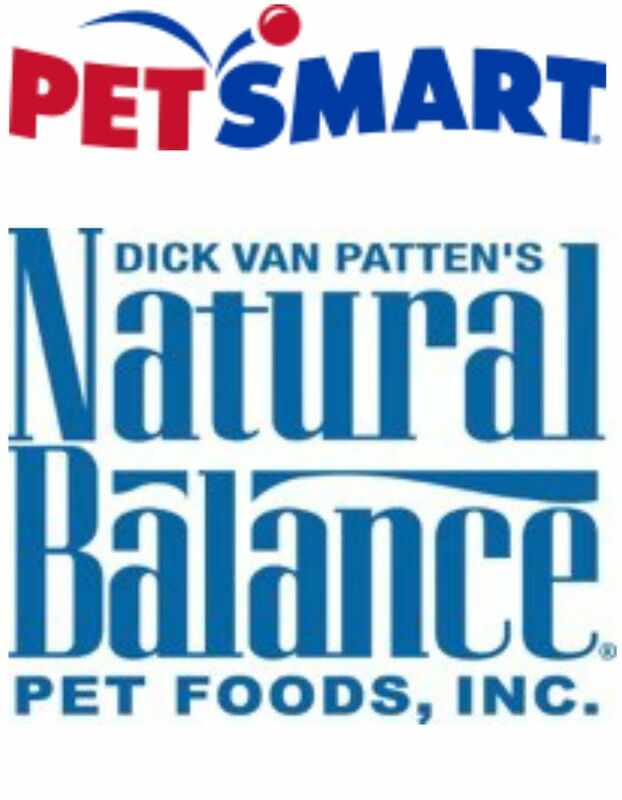 Hooray Natural Balance! 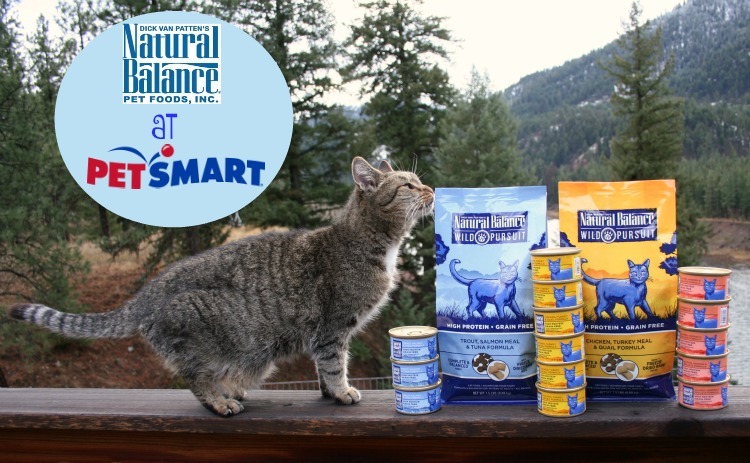 So why not head over to your local PetSmart or to petsmart.com to check out Natural Balance® Wild Pursuit™ Natural Cat Food. Your kitties with thank you. 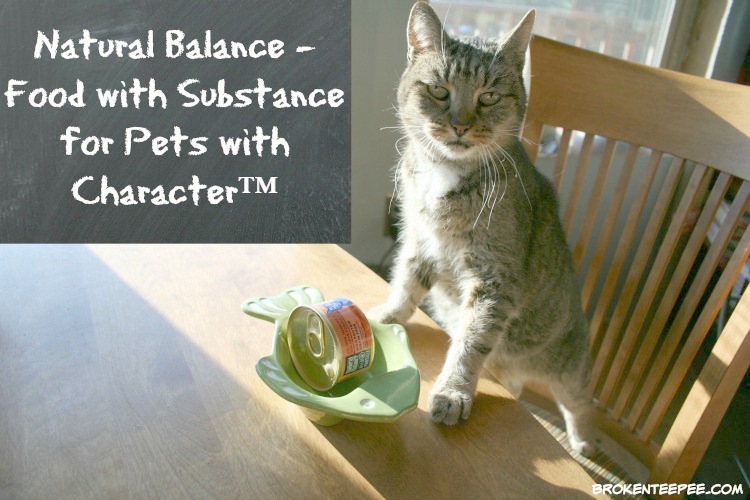 Be sure to check out the Natural Balance Natural Character site – it’s a lot of fun. The Farm cats are natural characters, that’s for sure. 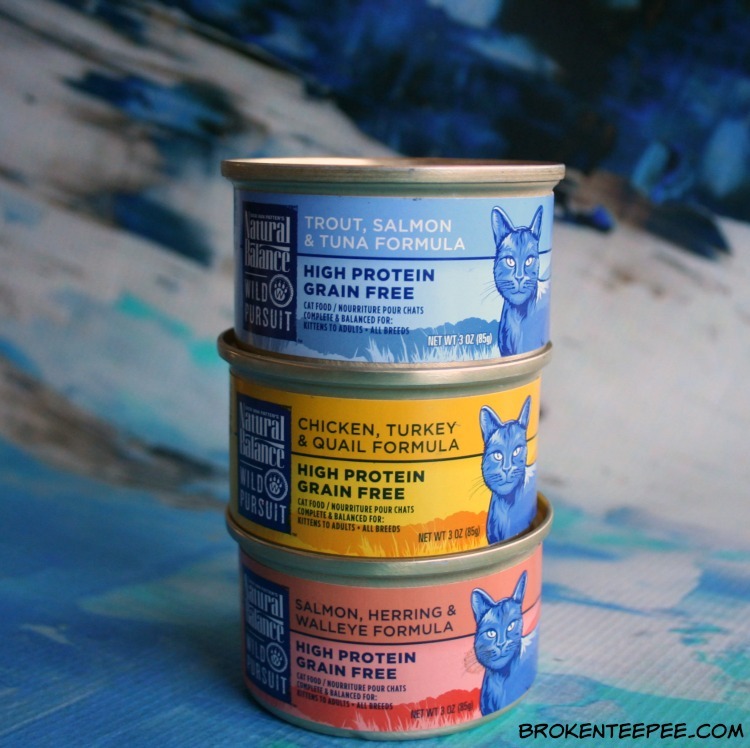 Which three premium protein grouping would your cat prefer from Natural Balance available at PetSmart – trout/salmon/tuna or chicken/turkey/quail?